This section shows all the settings available for the current GSLB farm categorized in three tabs: Global, Services and Zones. Every change in this section has to be applied clicking on the Update button. Name. It’s the identification field and a description for the virtual service, only editable if the GSLB farm is down. Ensure that the new farm name is available, in another case an error message will appear. Virtual IP and Port. 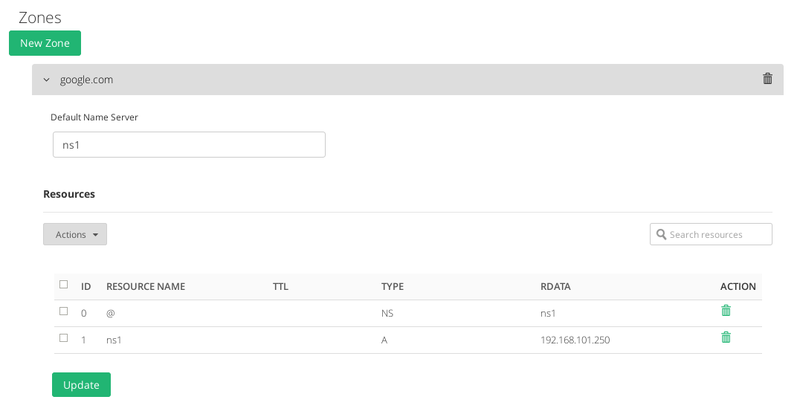 IP address and Port used by the GSLB service. To make changes in these fields, ensure that the new virtual IP and virtual port are not in use. It’ll be needed to restart the service in order to apply the changes. Service Name. Short description of the new service. Algorithm. Select the scheduling method that you prefer for this new service. Priority: connections always to the most prio available. Balance all connections to the same highest priority server. If this server is down, the connections switch to the next highest server. With this algorithm you can build an Active-Passive cluster service with several real servers. Once the new service is created, it’ll be needed to restart the GSLB farm. The GSLB Round Robin service will allow to share the requests equally between all the backends at DNS level and the configuration options are shown below. Health Checks for backend performed by Farm Guardian are an optionally advanvanced feature. 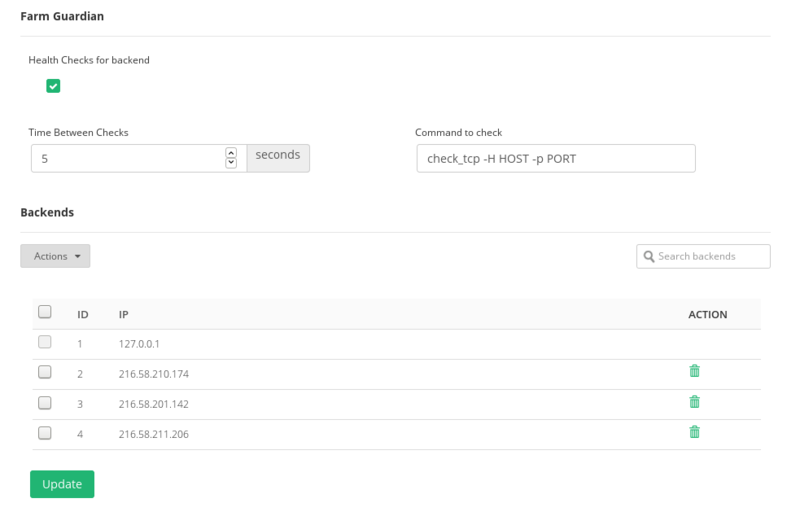 Even if you do not enable it, a simple check will be performed every 5 secondos to monitor the backend health. Health Checks for backend. Enable advanced health checks for this GSLB service. Time Between Checks. Period of time in seconds that the advanced health check will be launched. Command to check. Command that will be used to check if a certain backend is alive or not. Check the Farm Guardian configuration article to get more details. In regards to the Backends section, at least 1 backend should be configured. By default, the 127.0.0.1 local IP address is configured, but it’ll be required to change it for the backends which host the real application. The GSLB Priority service will allow to create a global DNS clustering service at domain name level. The Priority services permits the same configuration options than the Round Robin services, but only allows 2 backends to be configured in order to create a cluster. By default, the local IP address 127.0.0.1 is configured and it should be modified by the real servers IP addresses. A GSLB Zone will describe the DNS domain name, subdomains, aliases, etc., which will be needed to generate a complete DNS zone with additionally load balancing records using the services defined as described above. 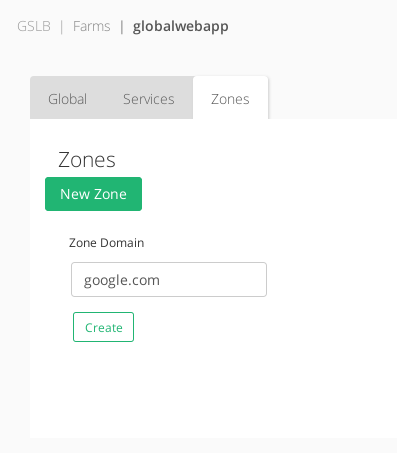 Once a new Zone is created for a certain domain, some configuration options are available and they’re detailed below. Default Name Server. 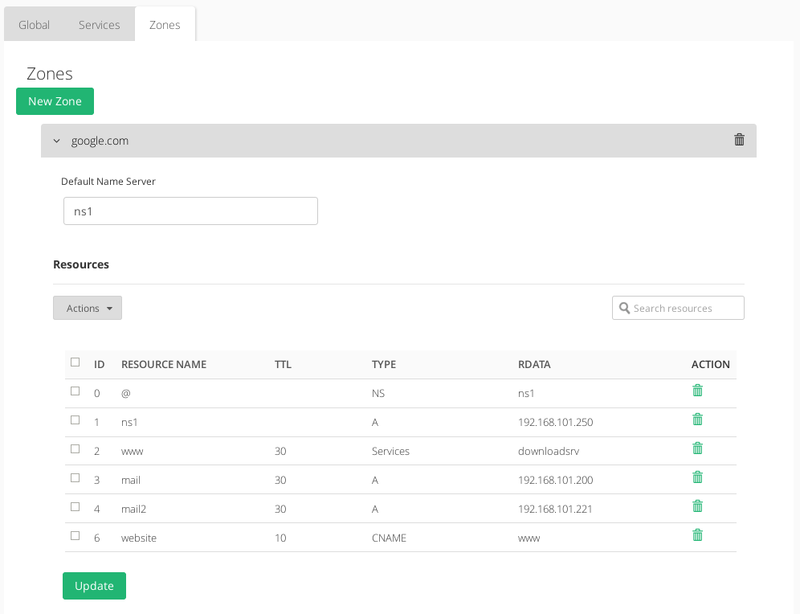 This will be the entry point root name server that will be available as the Start Of Authority (SOA) DNS record. By default ns1 will be set. Services. Dynamic address type record, it returns a dynamic address specified by a Service already created within the farm configuration according to the algorithm selected for such service. Type Services behavies a little different in regards to TTL. TTL fields have a syntax extension and slightly different meanings than the TTL field of a traditional, fixed RR. The traditional format for DYNA/DYNC TTLs is MAX[/MIN], with MIN defaulting to half of MAX if not specified explicitly. In our case it is not posible to define the MIN, so it will be always the half of de MAX specified. SRV. Generalized service location record, used for newer protocols instead of creating protocol-specific records such as MX. RDATA. It’s the real data needed by the record type, input value depends on the kind of the Resource Name, the following example shows the different kind of Resource Names and the allowed RData values for each one. Add Resource. Create a new resource record for a certain zone. Edit. Modify a certain resource value and apply. Delete. Delete a resource record for a certain zone. Next step, check out the Stats and Graphs.